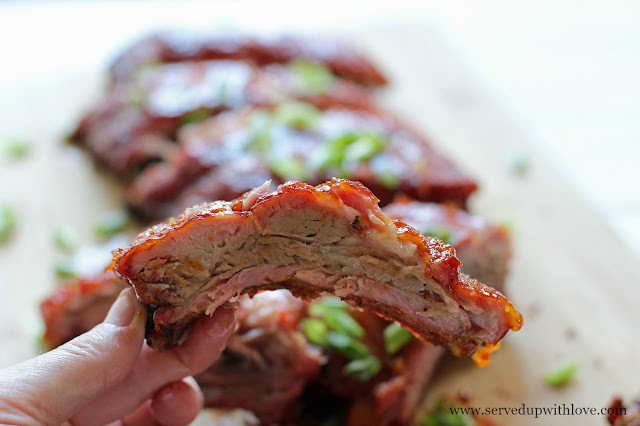 These Tangy Carolina BBQ Baby Back Ribs are so tender, they fall right off the bone. These are finger-licking good and so worth all the napkins. The last unofficial weekend of summer is here. I feel like I blinked and summer was over. Does anyone else feel like that? Well you can bet this summer will be going out in style as we heat up the grill and throw on some SmithfieldⓇ Extra Tender Fresh Pork Ribs for Labor Day. My husband is the grill master of the family. 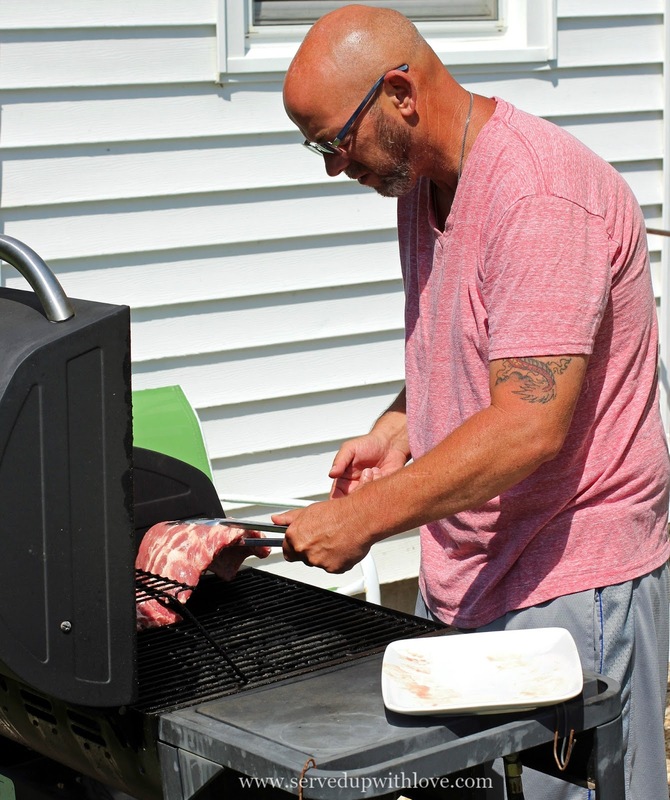 On any given day he is usually out manning the grill cooking up something good. We work together as a team most nights. He mans the grill while I am in the kitchen preparing the sides or a fresh garden salad from our veggies from the garden. My favorite part of grilling is being able to spend time outside with him. I prop my feet up and he has the tunes playing. It has become almost a nightly ritual. 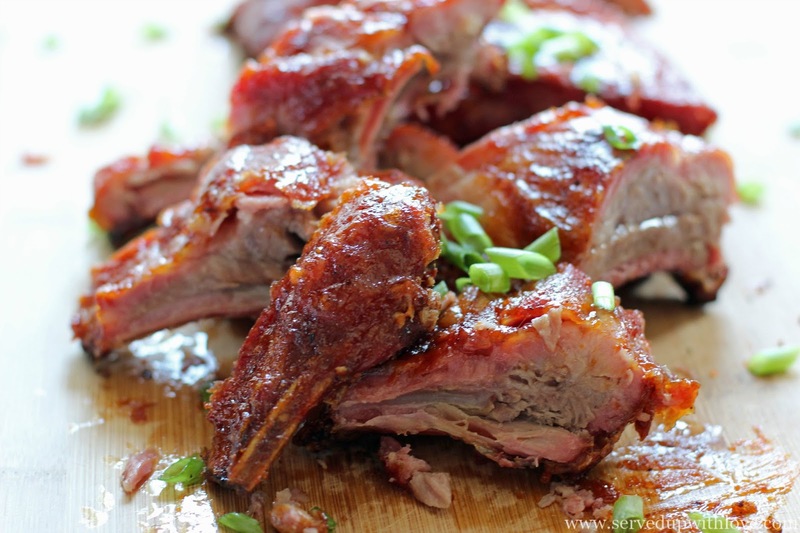 Smithfield Extra Tender Fresh Pork Ribs are perfect for any gathering you are having this Labor Day. There are no artificial ingredients and they are enhanced to be as juicy and tender as possible, so no matter what level of experience you have in the kitchen or behind the grill, your pork is sure to impress all your guests. Be sure to look for the “Pitmaster Preferred” stamp on every package of Ribs. Heat gas or charcoal grill to 325 - 350 degrees. Grill 1 1/2 to 2 hours over indirect heat. Cook to a minimum internal temperature of 150 degrees when measured in the thickest part of the meat, NOT touching the bone. 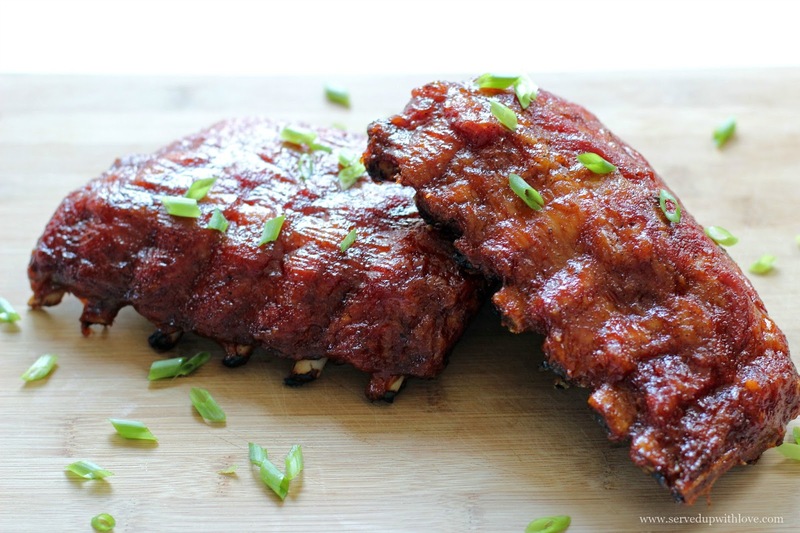 Ribs are more tender cooked to about 195 degrees. Slather with sauce during the last 30 minutes of cooking. We purchased our Smithfield Extra Tender Fresh Pork Back Ribs at Food Lion, and right now, you can take advantage of a $1.00 Off Food Lion coupon. Our local Food Lion is within minutes of where we live. Making grocery shopping a breeze. 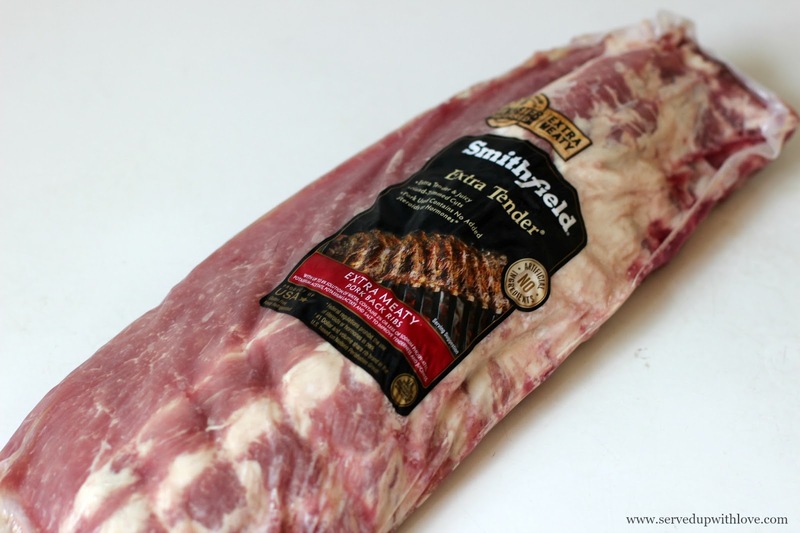 Smithfield Extra Tender Fresh Pork is available at Food Lion in 3 different varieties; Smithfield Extra Tender Fresh Pork Back Ribs, Smithfield Extra Tender Fresh Pork Spareribs, and Smithfield Extra Tender Fresh Pork St. Louis Style Spareribs. Perfect timing for your Labor Day Get-Togethers. You can grab that coupon here. Oh this sauce! 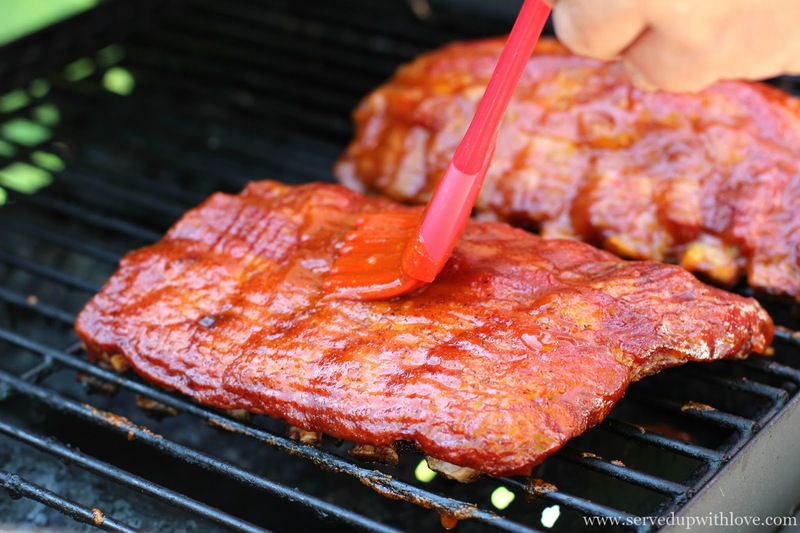 I am usually one that likes a sticky and sweet bbq sauce but since we have tried them all this summer we wanted something a little tangy. 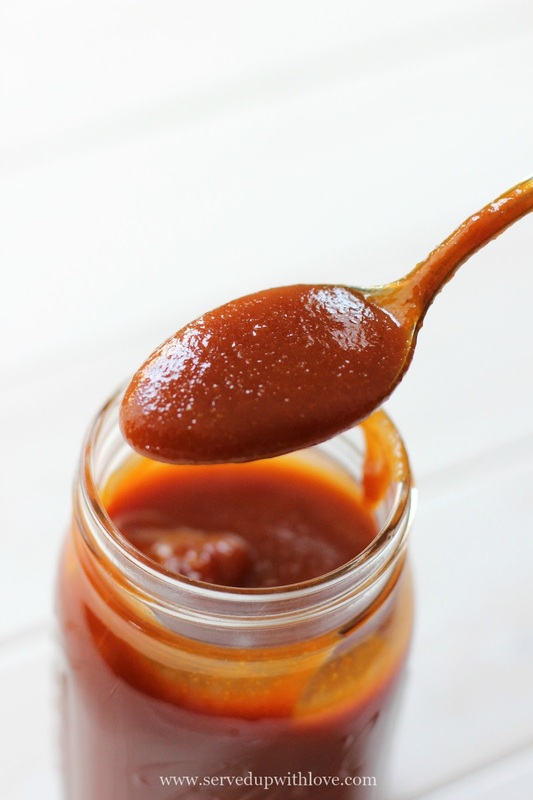 Carolina BBQ sauce is a vinegar based sauce that I normally shy away from. I am not sure why because man, this stuff is some kind of good. A twang that just hits you in the back of your mouth. 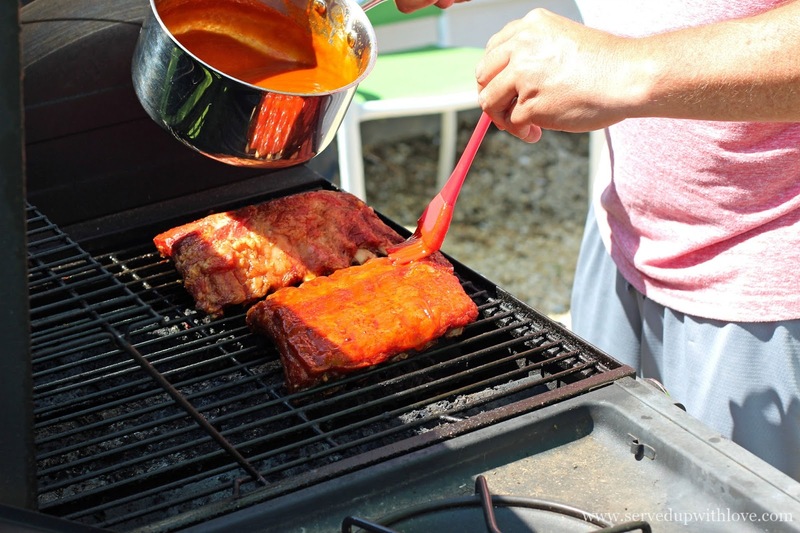 The sauce alone is a little more tangy but once it hits those ribs it mellows out into something magical. Now I can't get enough of this sauce! So if you are like me and have avoided it, stop what you are doing and try it! Dump everything into a medium saucepan on low heat. Whisk to combine. Increase heat to high and bring to a boil. Simmer, stirring often, for 15 minutes or until the sauce has reduced by 1/3. Remove from the heat and store in a one pint mason jar in the fridge for up to 2 weeks.